Taking a drawing or painting and translating it into fabric and thread is challenging and delightful. 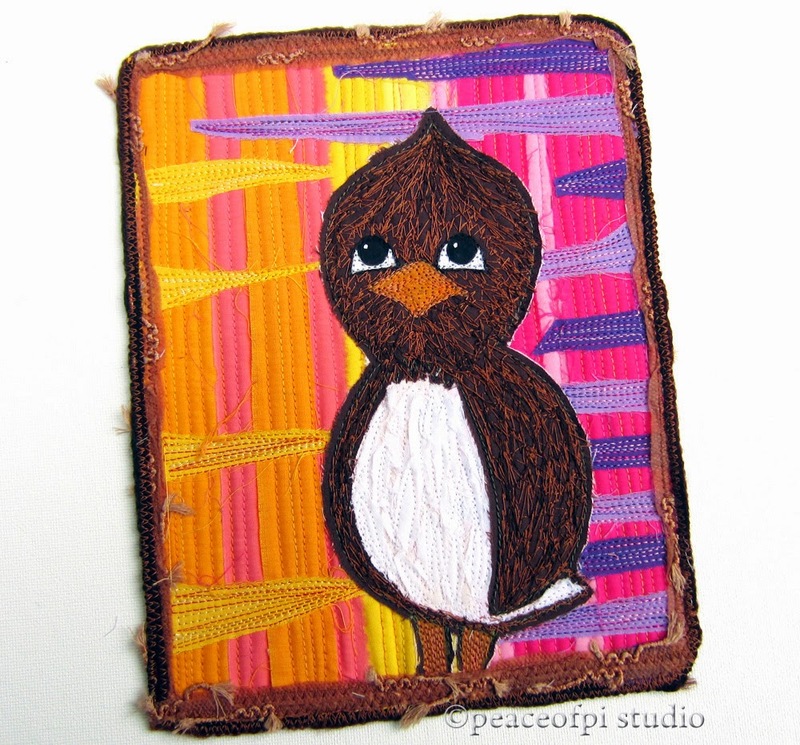 This mini art quilt of a cheery brown bird is a rendition of the painting Happy Bird, part of a little bird told me series. Created with a sewing machine and thread instead of a paintbrush, it mimics the colors and mood of the original but in a new, fun and touchable way.